Miro Dental Centers > Blog > Oral Health > Grinding Your Teeth at Night? What are the Signs? Grinding Your Teeth at Night? What are the Signs? Have you ever wondered if you grind your teeth at night? Has your dentist mentioned that he or she has seen signs that you grind or clench your teeth while sleeping? When you sleep, you are completely unaware. But, here are the key signs and symptoms to look for to confirm whether or not you’ve been clenching or grinding. 1) Do you wake up with jaw pain or soreness? What about teeth sensitivity, facial soreness, or headaches or earaches? While all of these symptoms can be related to other conditions, if you experience them regularly in the mornings and then the symptoms subside during the day, there’s a decent chance you are clenching or grinding. 2) In addition to those symptoms, do you notice indentations on your tongue or damage on the inside of your cheek? These are also symptoms of clenching and grinding. Teeth clenching and grinding can be serious enough to fracture teeth, cause or worsen TMD or TMJ, and wear down tooth enamel, exposing your teeth to fractures. 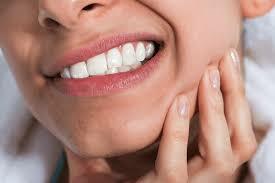 The good news is that we can treat the clenching and grinding and prevent further damage to teeth, jaws, and muscles. One of the treatments is a night guard — a thin, clear mouthpiece. Other treatments including finding ways to lower stress and anger that may cause or worsen clenching and grinding. In addition, you may be asked to avoid certain foods or drinks that can influence this nighttime behavior. Teeth grinding and clenching are common conditions that are treatable. If you think you may clench or grind at night, it’s time to consult with your dentist to determine if you require treatment. At Miro Dental Centers, we carefully and thoroughly examine each patient’s oral history and current dental health to recommend the best treatment options. We then discuss the treatment options with you, and together we make the optimal decision for your dental health and overall well-being. Please don’t hesitate to contact us today at 305-442-7444 with your dental questions.